When you're choosing a soap or detergent for your pressure washer, it's important to know that not all cleaning products will work effectively. You don't always have control over the ratio of detergent to water, which is normally determined by the washer, so you'll often need a concentrated substance to ensure that tougher stains are properly cleaned. Recommended: How to use detergent with a pressure washer the right way. You’ll also want to consider what kind of surface you’re cleaning, as some detergents are more specialized for specific tasks than others. What’s more, using the wrong cleaner could result in damage to some surfaces or paintwork. What chemicals are used in washer detergent? To understand how harsh some cleaners can be and why you shouldn't use all of them on all types of surface, we'll first look at the diverse types of chemicals that these detergents can contain. 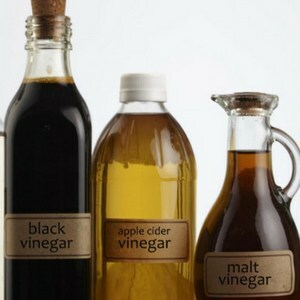 Far from simply being a condiment, vinegar makes a good cleaning agent for brass and bronze fixtures, or removing streaks from glass. Great for removing rust from metals, but not so friendly towards your skin. The disinfectant properties of bleach aren’t limited to just your bathroom; pressure washer cleaners often contain this chemical. Most degreasers will contain this chemical, though it’s not something you want to get on your skin. This chemical works well on stainless steel or glass surfaces, making it a common ingredient in automotive detergents. Different cleaning products produce different results when used in a pressure washer; similarly, there are products more suited to specific kinds of jobs than others. Some washer soaps produce little to no foam, while others are very sudsy. Whereas you may want a great deal of lather for something like cleaning your vehicle, you may want something less foamy for cleaning your decking. 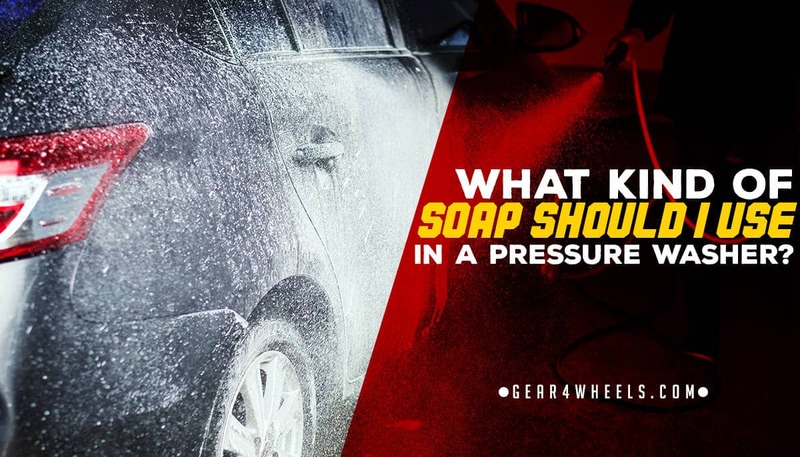 For cleaning your vehicle, you'll want to look for specialized soaps that are designed for this purpose alone. Paintwork on cars is sensitive to harsh chemicals such as bleach, which is why automotive detergents are designed to be mostly chemical-free. This also brings the advantage of making them friendlier to skin, so that you can scrub with your hands and a sponge should you need to remove tougher marks. A good example of the ideal detergent for vehicles is the Karcher Concentrated Vehicle Detergent, which also contains wax. 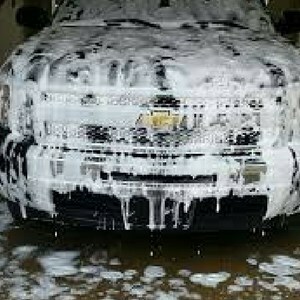 This creates a superior shine and finish on your car that you likely wouldn’t get with non-specialized soaps. This range of detergents is safe for use in pretty much all home-related purposes. They're usually free from harsh chemicals that might include bleach or ammonia, as well as typically being biodegradable to protect the environment. They are also good for use with brush attachments for removing tough stains resulting from autumnal and winter weather. Another benefit of these types of detergent is that they don’t foam up a great deal; this means that you don’t have to wash away a great deal of soap once you’ve finished. 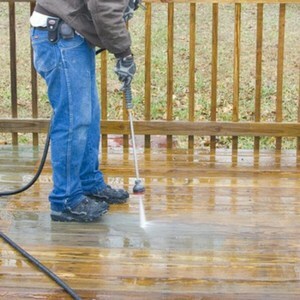 Though not too concentrated, they’re powerful enough to remove mildew and staining from wooden decking, or from concrete driveways and walkways. However, if you've had a vehicle leaking oil onto your driveway, then you'll need something a little tougher. Look for a home-use detergent that specifically advertises oil and grease-busting properties. These specialized cleaners are more concentrated, but they will require more time focused on the stain to clean it away. Another category of detergents, known as all-purpose cleaners, can be used on a multitude of surfaces. Though you may be wondering what the benefit of an all-purpose cleaner is, they can be useful in pressure washers with only a single detergent tank, as you can complete multiple tasks without having to wash out and change the tank in-between jobs. The Sun Joe SPX-APC1G All-Purpose Cleaner is a good example of an all-purpose detergent that also has degreasing properties built in. This cleaner is safe for use on metal, wood or brick surfaces, or could be used on plastic or PVC, too. This means that you could complete a clean on your car, driveway and the exterior walls of your home, all within the same cleaning session. If your only intention is to clean your vehicle, or you will only be using your pressure washer to hose down the decking when spring comes, then you’re probably better off purchasing one or the other. Specialized cleaners, in general, are better for single purposes. 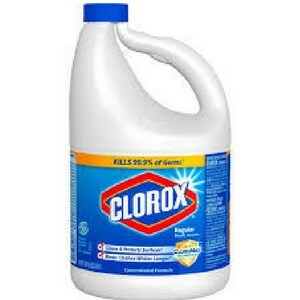 However, if you intend on completing multiple different cleaning jobs on different surfaces, or you want to save yourself some money, then you should consider picking up an all-purpose cleaner instead, especially if you’ve got a pressure washer with just a single detergent tank.